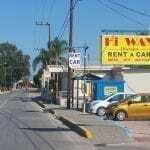 When I first arrived on the island to live, it was Ialyssos in Rhodes where I initially chose to settle. I do not know the reason for this, but as I began to find my feet here, I understood that Ialyssos is quite a busy place and it presented a lot of opportunities for me. With this village being quite a popular and historic one, I found that a lot of the local people spoke English to me, which was a great help in my early days. 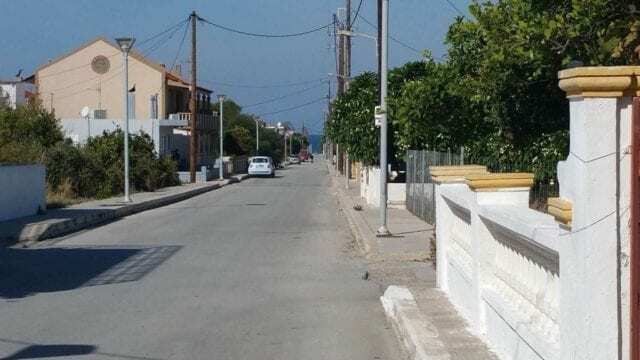 Some other villages on the island are not met with the high tourist levels like Ialyssos, so the English spoken amongst them can be limited to non-existent. That makes me sound selfish doesn’t it? Here I am living in Greece, and expecting everyone to communicate with me in English? Well, I guess I was somewhat dependent on the English speakers in the beginning, but I went on to learn enough Greek to establish myself here comfortably. 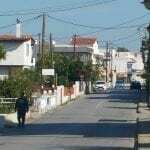 Ialyssos is a very happening and busy village with over 11,000 people residing here. 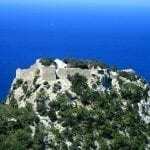 It is located 8 kilometers from the city of Rhodes on the West Coast of the island! It has a beautiful pebble beach that runs its length, and provides a beautiful view of the Turkish mountains on a clear day. Going back some years to the 1980s, the population of Ialyssos was only 2500 people. Over time though, and with Ialyssos becoming a district to the city of Rhodes, the population has risen. It became very popular with the tourist trade, and over time the population has risen to what it is today! In my opinion there is a downside to this. Because as the tourist trade increased, so did the requirement to accommodate the holiday makers. This is fine though right? I mean, without a place to stay – who would come to visit? The problem is, overtime, the hotels have started to dominate the area. Don’t get me wrong, the village of Ialyssos is beautiful, but the huge all-inclusive hotels have taken over the area to a certain extent. I am not saying don’t have them, but I think there are just too many! I believe some of the local people would provide a better experience with a local bed and breakfast and a nice Greek taverna. I know that is what I would prefer. Ialyssos itself is a treat of a village to visit. There is a lot to see, there is a lot to do, there are some great restaurants and bars, a beautiful beach, blue sea and lots of activities to get your teeth into. 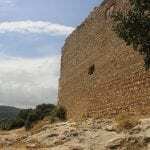 The area is looked upon by the mountain of Filerimos which sits 5 Kilometers away at just under 270 Meters in height. I personally like walking around Ialyssos. It has a really nice and warm friendly feeling to it and most of the local people are very hospitable. 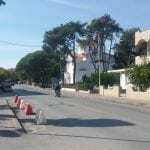 In fact, a lot of people that come on holiday to Rhodes choose Ialyssos as there base during their stay. 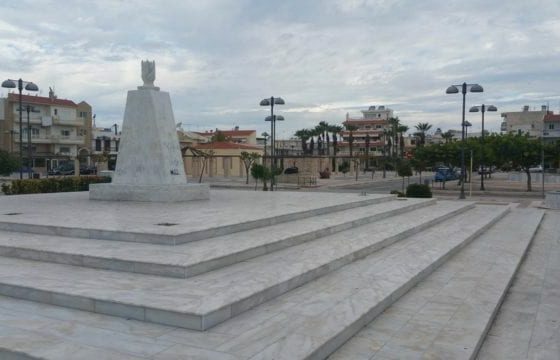 It is not far from the hustle and bustle of Rhodes Town, and there is enough going on to keep you entertained should you wish to stay in the area. One thing that you should be aware of though, is the volume of traffic that passes through on its busy roads. 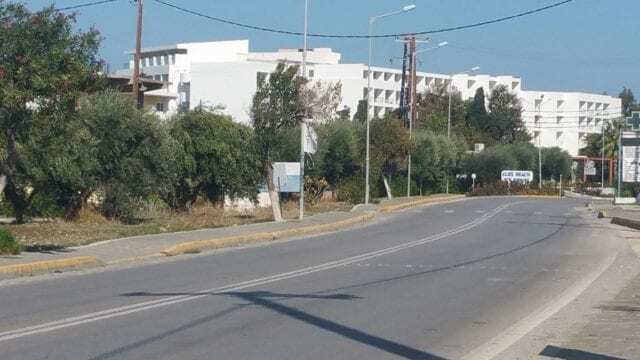 Ialyssos is on the main road between Rhodes City and Diagoras Airport. Due to this, it suffers with a lot of traffic issues and delays. If you are walking around, just be aware of this as it can sometimes be frustrating – mostly because of the sheer noise. The Villages of Kremasti and Ixia also suffer with the same problems for the same reasons. Ialyssos was established by The Dorians, along with Kamiros and Lindos. These three villages are the first three villages to be established on the island of Rhodes upon the arrival of The Dorians! A lot of people may be surprised to learn that Ialyssos also boasts some amazing history, especially when it comes to Boxing. Long before the days of Mike Tyson and Frank Bruno there was a boxer from Ialyssos who won the Olympic Boxing Competition on three occasions. His name was Diagoras and was of the Eratides family. After winning the competition on the 3rd occasion, the Ancient Greek Poet Pindar composed his 7th Olympic Ode on account of his success in 464 BC. A lot of the local people refer to Ialyssos as Trianda. The word ‘Trianda’ in Greek means the number ’30’. The reason being, centuries ago, this neighborhood was originally made up of 30 houses, or settlements. The actual area of Trianda is between Ialyssos as we know it today and Filerimos mountain. Back in the 1870s archaeologists uncovered a Necropolis here. A Necropolis is a cemetery, and the Greek translation of the word ‘Necropolis’ is ‘City Of The Dead’. A lot of the findings from the Necropolis (such as Jewelry and other artifacts) however, ended up in British Museums with only a handful remaining in Rhodes. This is something that really annoys me, as does the location of the Elgin Marbles. I guess that is another story though! Today, this area has been transformed. 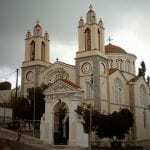 You will find all around this area an exquisite setting with a Greek theater in place for celebrations and the Beautiful Church of the Assumption of the Virgin Mary. On a personal note, I love Ialyssos. It is a really nice place to visit and one where you will be made to feel welcome. With everything that goes on here, you will find it impossible to get bored. There is always something to do. The setting of the old buildings, the warm blue water and the lovely beaches make it an irresistible area. I hope the photographs I have made here give you a taste of what it is like. Have you been to Rhodes and seen the village of Ialyssos? Maybe you have something to share? I would love to hear from you. Just leave your thoughts and questions below in the comments area, and I will get right back to you. 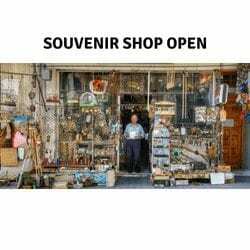 Thank you for the tips about tourist-friendly places in Rhodes. It tends to be a lot more tourist friendly when the locals can speak English. If we ever want to live in Greece, the tourist-friendly areas sound like great places to start planting our roots. It’s amazing to think that such a tourist-friendly place would be a large village — rather than a great big city. Unfortunately, I suppose a place structured as a village is not really meant to handle a city-size population. A lot of the Greeks are quite able when it comes to speaking English. Actually, a lot of them can speak many languages. It does make it easier for your visit without a doubt, but it is always appreciated if you can manage a few words of Greek too. It is not essential, but the Greeks will love you for it. Ialyssos is quite a large village when it comes to comparison to the size of the island, and Rhodes Town is the biggest as this is classed as the city. We say Rhodes City sometimes, but do not think it is like New York or Paris. Far from it. By comparison it is quite small. Most of the areas are very accommodating to tourists, but if you go inland to the small villages, there maybe you can struggle a little more. Because it is off the tourist path, many of the locals have no need to speak English, or any other language for that matter, so this could be a great challenge, but a rewarding one. 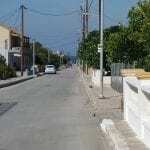 I have to add this beautiful village called Ialyssos to my list of places I must go in my life time. Thanks for the pictures provided as these will help my carrier as an architect to improve more on my designs and aesthetics. You are really having a great time at Ialyssos Chris. Hello there my friend and you are very welcome. I know a lot of people who have visited Rhodes that have admired the beauty and its architecture. I have one friend that comes over to see me each year from the UK and he is also an architect. He always goes back home with a new idea and a lot of inspiration. Ialyssos also holds the ability to inspire you simple because of its foundations and setting. i hope you can get here soon and see it all for yourself. You have certainly found the ideal place to settle down. Most people dream about living near to a seaside resort but when you have the chance to pick a place like Lalyssos, i can only say you lucky person. From what I have read of your post and the great pictures it has some ideal attractions and scenic views. Enjoy your time there and continue bringing more pictures of Rhodes. I do agree to a point that I am quite lucky. I certainly appreciate the place where I get to live now. On saying that, sometimes you have to make your own luck! Ialyssos was an ideal place for me to settle. From there, it really did open doors for me and the friends I have made have been good ones. No regrets my friend. As it happens, the past may catch up with you at one point or another. We lived in Athens for 3 years and one of our daughters was born there. We did quite a bit of traveling around the country but unfortunately never went to Rhodes. I don’t even know why. Beautiful island, beautiful nature and everything it can provide. In our travels, we stayed in small family owned hotels, and I must say I’d rather prefer “all inclusive”, though they can over-commercialize an area. On the bright side, I totally agree that nothing can beat Mom and Pop Greek tavernas. Their food is simply the best! Thanks for insider info, Chris! I really enjoy this time and space travel. Hello Katya, it is really nice to hear from you. Thanks for getting in touch! You know, I really think it is up to the individual and personal taste. I can see why people would prefer ‘all inclusive establishments’ as everything is there what they need. I personally think there are too many. Like you say, they can get out of control and take over an area completely. 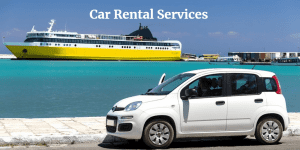 Because of this, the traditional Greek establishments and entertainment have really suffered, and they are the key reasons people used to visit. 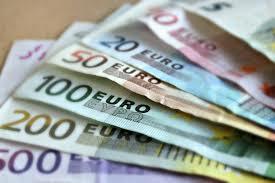 Iayssos has certainly had its fair share of businesses go under in recent years due to lack of trade! I am not saying do not have all inclusive, it just needs toning down a little in my opinion. From your side, it is really great you got to spend time in Greece. Do you have plans to come back again? 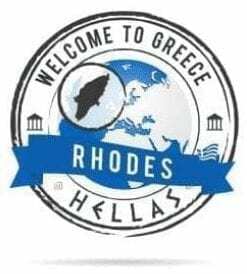 If you are ever in Rhodes let me know. Thanks again Katya, it is a pleasure to meet you. Hello Chris, you promoted Ialyssos so well that while I was reading your post, my heart is pounding with excitement. I have been to some cities of Greece but not here. By seeing the pictures it is very clean place and looks interesting to visit. Great post. Is it okay to visit all year round or there are certain months where the weather is not suitable for travel? Hi Timothy. Thanks for reading and I am happy you found the material here enjoyable. When it comes to talking about the weather, I actually prepared some information for people to read. Naturally the weather/climate is an important factor and it is good that you are in the know before you come. It can get very hot here, and it is not for everyone. 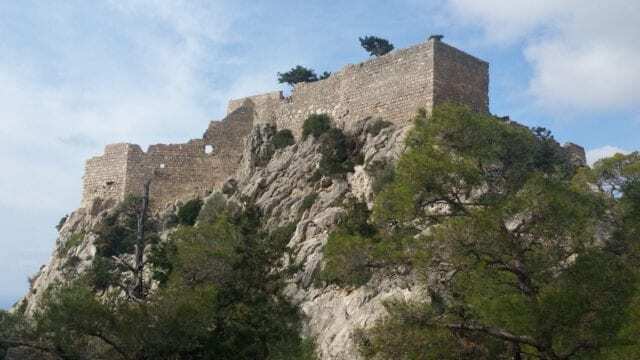 Take a look at The Climate Of Rhodes section and I am sure it will answer your questions. I am here if you need more too. For sure this is the very first time i get to hear about the island from a first hand source (you). I only get to see things on TV and in travel brochures and I always wondered if these places were really this beautiful, or just camera tricks to get your attention. But for sure now i know that its a great place to tour. Ialyssos look so beautiful and I adore the Marble Stadium there. I had a full tour of your website. It is extremely nice to see some of the photographs taken from a local rather than in a tourist guide where you get to see only what they want you to see. 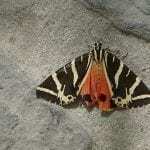 Hello Diana, it is really nice to meet you and thanks for your visit. You know, I feel it is important that people are offered information before they come here and soak up some important points should they wish to do so. I know all about the travel agencies too. I understand they are in the business of making money, so naturally they are going to present the information in their guides in a very positive and beautiful way. I cannot blame them for this. However, there are things which are not covered in guides, and if they are they can be very brief. I appreciate you looking all around the site and soaking up some of the information. The Stadium in Ialyssos is amazing too yes. 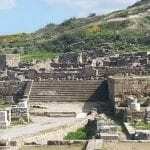 Did you see also the information on Monte Smith and the Ancient Theater there too? Take a look if not, you may find it interesting! Greece is certainly a fantastic place on the earth. It has such a rich history – each spot in this beautiful country has a story – a magnificent story. I like the Greek people too – they are so hospitable and friendly – I was made to feel welcome wherever I went in Greece. I have been to Greece three times and each time it was a different place that I visited. I just want to explore this country as much as possible. Unfortunately, I haven’t yet been to Rhodes but I will definitely visit this amazing place. Ialyssos looks a very peasant place. I am sure your website will be the best guide as I think that the best travel advice can be given by local inhabitants. Hello there Arta. Very nice to hear from you, thank you for your interest and for your question. Where in Greece have you visited previously? I would love to hear more about your prior visits and the places of interest you saw. When it comes to Rhodes, this is a must see island for sure. Ialyssos is a very beautiful area and there are many more too. 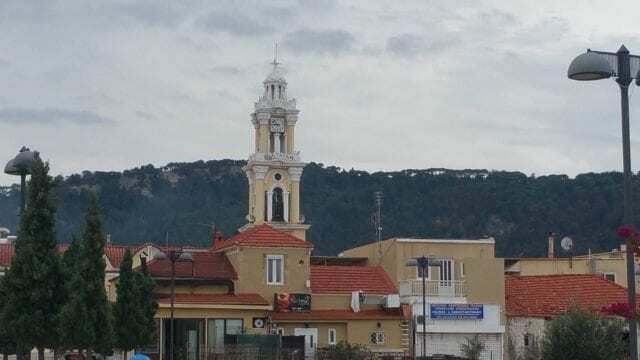 I just fell in love with the village of Ialyssos as it was the area I settled in when I first arrived to live, and it presented many opportunities for me. I have very fond memories and some good friends here. When it comes to talking about the low season, it is actually from the middle of April until the end of June. From there it goes to the high season, and the low season returns again at the end of August until the end of October. During these low season periods the weather is very pleasant. There are still a lot of people here when it comes to the tourism, but nowhere near like the high season. I hope this answers your question Arta. I am here if you need anything else too. Ialyssos on the Island of Rhodes sounds like a great spot. I have never been to Europe, but I hope to travel there in the years come (funds allowing of course). I will want to visit Rhodes and see the beautiful scenery and meet the friendly people. What is the weather like in Rhodes? Are there seasons? 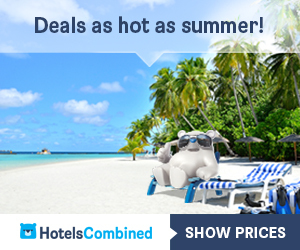 Are there times of the year during which it is more favorable to visit than others? Thanks for posting about Rhodes. Joe, hi and thanks for your query. Ialyssos is a beautiful village yes, and if you manage to get yourself to Rhodes it is well worth seeing. When it comes to best times to visit Rhodes, I have prepared a section on the website dedicated to the climate. For the best part, this is the most important thing to consider as the temperatures can get very hot in the high season. Check out The Climate Of Rhodes section here Joe, and it should answer all your questions. Thanks, and let me know if you need something more. Not all of us have the opportunity to relocate but it is great you could uproot and move to a most beautiful part of Greece. Ialyssos looks amazing, I love the theater there. I have only been to Athens and it was 40 years ago, but your post has given me an excuse to take a short break with my wife and see Ialyssos. It seems like an idyllic place for a holiday. I know Greece suffered when they left the European Union so how does that affect the cost of living and hotel accommodation? Hello Richard and thanks for getting in touch. Although Rhodes is not Athens by a long shot, Athens is also an amazing place. I was there a couple of years ago and I absolutely loved it. Rhodes, although a small island is really wonderful too. 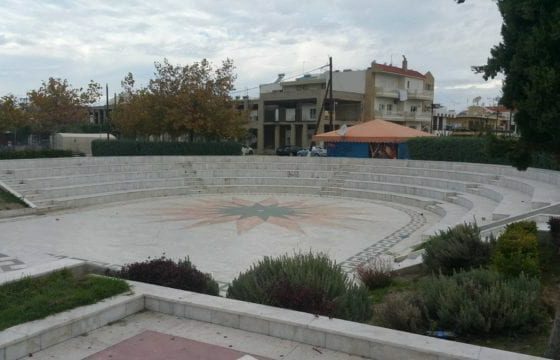 Ialyssos is a beautiful area and I often go there to meet with friends. There is a lot to see and do and if you do manage a small break I urge you to visit it. I wanted to ask you something too Richard. You say you know that Greece suffered when they left the European Union. Where did you hear that from? A couple of years ago in 2015, Syriza (The Left Wing Political Party) came into power and they were pushing for Greece to leave the European Union, but it never came to be. Greece is very much still part of the EU, thus the prices of staying and living here are pretty much in line with the rest of Europe. Greek tavern’s would certainly serve people a lot better than the development of more hotels. 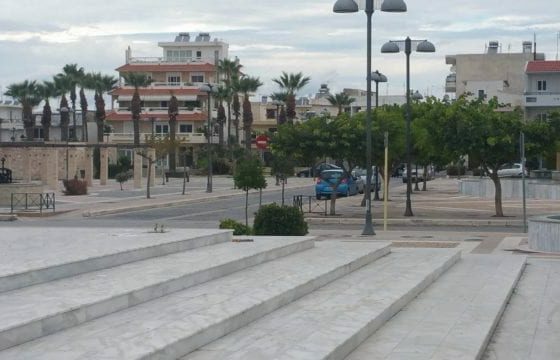 I am sure this has been a common concern in the Ialyssos area for a long time now, am I right?. Considering it brings in money, they are not sure, and think down sizing now would only hold them back or take to long to recover economically. I wrote an article on a website of mine on the same issues here in the US where they have too many flash hotels for my taste. The view with the downsizing of them. they would loose money and the economy would suffer. It would take years to cultivate the land back to something else to the persist in an eye soar. You know, I understand why these big establishments have been constructed. I understand millions of people visit the area every year and they need somewhere to stay. I do not have a problem with this. Also, the hotels that have been built are very luxurious and beautiful. Actually, some of them are amazing to see. The main thing I do not like, is that most of them are all inclusive. This is a huge problem. It simply means that the people choosing to visit the area pay for everything in their home country before they get here, and once here everything is provided for them. I always remember seeing something crazy, which I will tell you here. I was in the reception of one hotel here on the island during the summer. I will not name the hotel. This is not my purpose. But guests of the hotel were in the reception area waiting for the bus to take them on a day trip for some sightseeing. All of them were given a packed lunch in a box. A sandwich, an apple, a biscuit and a bottle of water each. So my point is, what about all the local shops that provide all of these things? What about a Greek taverna to try some tasty local food? Did none of them have any interest in experiencing something Greek? So basically, people pay for everything before they come, and they do not need to buy anything (or very little) while they are here. Because of this, many local outlets have had to close down. This has happened to many establishments and it is a real shame. The Ialyssos what was, with the busy Greek tavernas and Dancing, the friendly bars and restaurants where you could really have a Greek experience have gone. Okay, there are some left, but nothing to what it was years before. I am not saying do not have all inclusive hotels, but they do not ALL need to be this way. Give the locals a chance too! This is my opinion on the subject! Thanks for your post on this. I’ve been to Rhodes myself but had not heard of this village before this article. I’ll have to check it out the next time I’m in Europe as it sounds ideal. When I was there, I was always impressed by the friendliness of the people who made you feel like a local. Keep up the great work of promoting Rhodes! Hi there James, it is great to know you have also been here on this amazing island. Where did you stay? Which area? One of the things I like about Ialyssos (and other villages and areas for that matter) is the friendliness and the hospitality of the locals. You really are made to feel welcome, and i am glad you got to experience that. It is nice for you to leave your thoughts here for others to see. Sometimes someone telling you it is nice and friendly does not hit home. But when it is backed up by people such as yourself that have visited, others will understand it that much more. Must be my lucky day to view your site twice today. I am doing some research for my vacation to Rhodes and also found this great post loaded with very informational content. 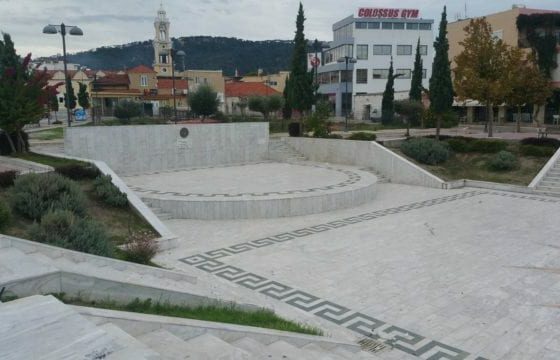 Ialyssos looks beautiful indeed and the photos of the theater look historic. They seem to truly reflect the most beautiful island in Greece. I just hope to have a lot of time when i finally make it there so i can enjoy every place that you’ve shown here. I will definitely use your site as my guide. Ialyssos is filled with history yes. Although it is very much a happening and busy village, the history is still there for you to see. This is why I like Ialyssos. 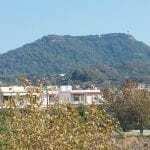 It has become a booming area when it comes to tourism and there is a lot going on. The history sits there though, blending in with the modern times. It is quite wonderful! Only the big hotels that dominate the area in certain parts are a downside for me. Let me know if you need something prior to your final plans.